First published in 1995, in aid of the St George’s Development Fund, this short history of Wash Common was written by a local historian and was originally illustrated with some drawings by the late John C Sadler. Original copies are now in short supply and so the text has been reproduced here . 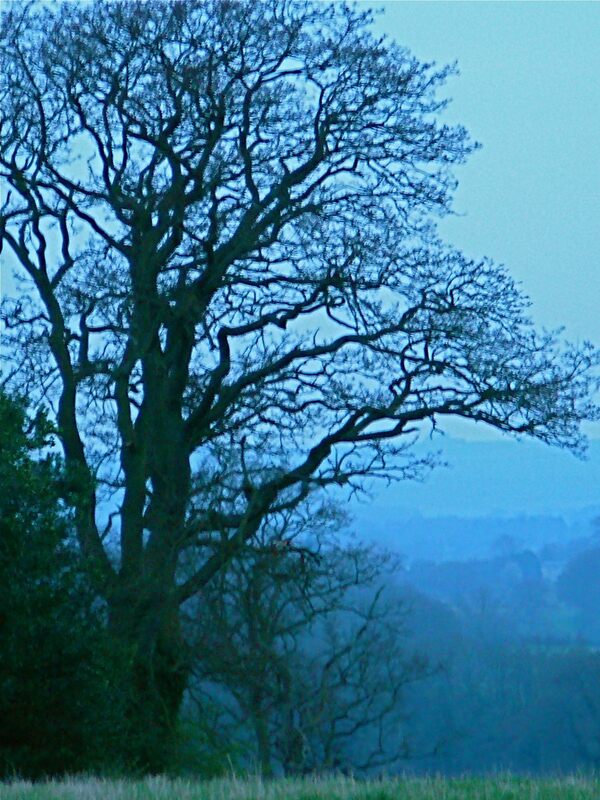 South of Newbury, on the Hampshire border, lay an expanse of swampy ground, known from medieval times as The Wash. 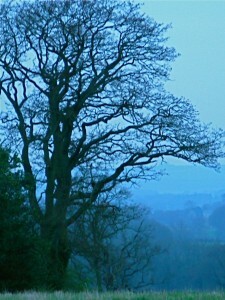 The river Enborne ran through it and the high plateau to the north of it became Wash Common. It was a forest of oaks, many of which helped to build Winchester College, New College Oxford, the hall of the Earl Marshall at Hamstead and a fine roof at Sandleford Priory. They were also used to repair Newbury’s then wooden bridge over the River Kennet which was frequently swept away by floods. On the southern slope of the common prehistoric people settled, according to the evidence of their flint tools. They may have used the top of the hill for ceremonial or religious observances, as today the mounds on the recreation ground are considered to be Iron Age round barrows and not, as previously thought, the burial place of Civil War soldiers. Excavations near the largest mound in the wood to the west of the recreation ground revealed evidence of fires, and round holes for wooden posts, rather similar to those at Wood Henge, near Amesbury. 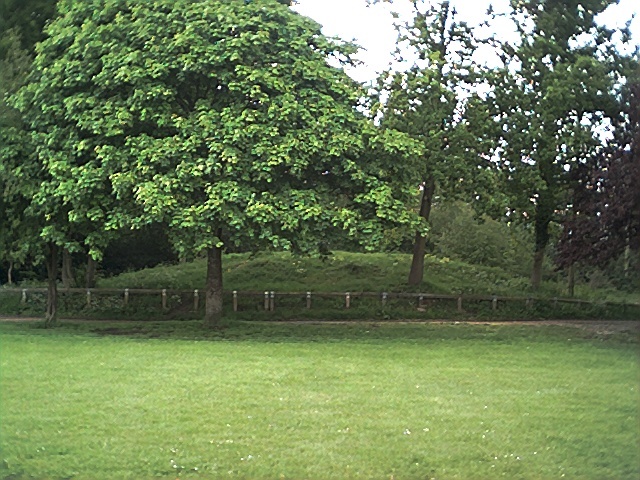 This large mound is on the edge of an ancient trackway, latterly known as “The Bridle Path” which was part of the old borough boundary. Here at “Bumpers Hill” the boys were “bumped” during the custom of beating the bounds, to impress on them the limits of their parish. The boundary ran through the middle of Battle Road with children on the western side attending school at Enborne. Just a few yards over the boundary in the parish of Enborne was the first place of worship on the common; the small Methodist chapel, now demolished. 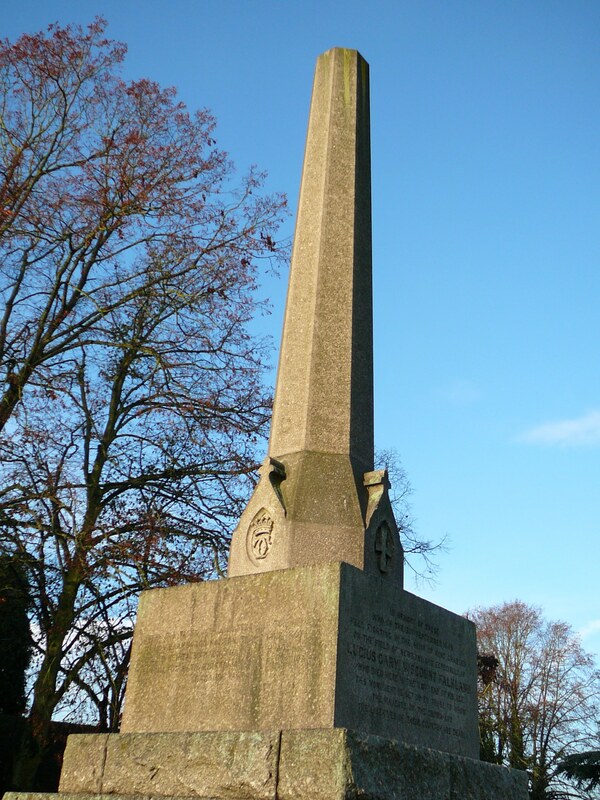 Wash Common’s chief claim to fame is its place in history as the centre of the First Battle of Newbury in 1643. Very briefly, the armies of King and Parliament were marching to London from Gloucester, when they converged at Newbury. The town had Parliamentary sympathies with supplies available for the Roundheads. But Royalist troops arrived first, commandeering food and billets. Lord Essex’s Roundheads and London Apprentices were forced to bivouac in open country and forage for what they could find. Hostilities opened early on the morning of September the 20th and fierce fighting continued until darkness, with casualties running into thousands. Wheatlands Farm became a field hospital. The body of Lord Falkland, Secretary of State to King Charles, was taken to Falkland Farm, now Falkland Garth, before removal to his family estate at Great Tew, Oxfordshire. One of the most popular and talented of young Royalist officers, he was deeply unhappy about the divided loyalties which were rending his country apart. 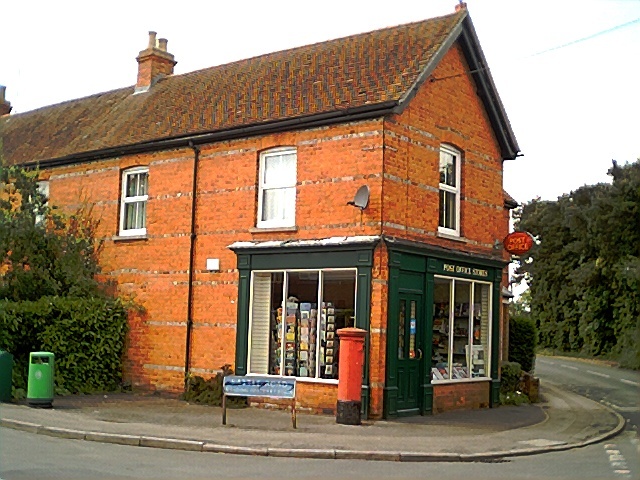 Falkland Garth has its ghost story, as also has Biggs Cottage in Enborne, at the bottom of Biggs Hill. Here Lord Essex, the Parliamentary commander, is said to have spent the night before the battle. Under the cover of darkness the King withdrew to Oxford, appalled at the loss of so many of his Generals and short of ammunition. The road was left open for Essex and his troops to continue their progress eastwards. In the eighteenth century some digging for sand and gravel and clay for brick making continued; races were held on the plateau and a Mayor’s duck shoot was held at Christmas. It was still a vast expanse of gorse and heather, with an uninterrupted view of the North Hampshire Downs to the south. Enclosure of the common began in 1855, with areas of land granted to prominent local residents, with the proviso that six acres should be set aside for recreation and four acres for allotments. 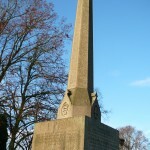 Mr Walter Money and members of the Newbury District Field Club raised the monument to Lord Falkland in 1878, at a cost of £700. Development had begun and our older houses date from mid to late Victorian times. In 1889 Mr Chatteris of Sandleford Priory, gave money to build a small Mission Church with a school-room at the back for infants, who took one penny a week. This was St Luke’s and was served by a curate from St John’s. In 1898 a number of philanthropic local people founded a Working Men’s Club and a reading room at the corner of Charles Street and Essex Street. The building was called the “Speedwell” after a favourite flower of one of the founders. About ten years later it had become the Post Office and a general store, while another unpretentious Club Hall appeared at the end of Battery End; this now the Scout Hut. To mark Queen Victoria’s Diamond Jubilee the recreation ground was re-opened with much ceremony and the stones commemorating “War” and “Peace” placed on the mounds. The First World War saw Park House used as a convalescent hospital for the war wounded. A small metal war memorial was placed on the wall of the “Speedwell”, now a shop, and it was decided that, as a memorial to the fallen, and also to those who perished in the Civil War, a new church should be built and dedicated to St George. Miss Leila Power of Park House gave money and land, but contributions came in slowly, and it was not until 1933 that work commenced on this new venture. Wash Common was then like a small village where everybody knew everybody else and many of its families were inter-related. There was very little traffic about, mainly bicycles. The “big houses” (Battledene, Grey House – now Newbury House flats, Park House), had their limousines with liveried chauffeurs. Horse-drawn vehicles were still about, notably the horse and cart with which Mr Fred Collins of Battery End, would bring up heavy items or parcels from the railway station. A coach with darkened windows would sometimes jog along the Andover Road, taking patients to a small Isolation Hospital at the end of Kendrick Road. Children called this horse ambulance “The Fever Coach”. The first bus to be seen on the Andover Road came from Andover, belonged to the Great Western Railway and was painted in their cream and brown colours. Wash Common soon has its own bus with varnished sides and slatted seats, called “The Doris” and run by the Postmaster, Mr Pestell, charging threepence into Newbury. Soon the Denham family started a more comprehensive service around the district with char-a-banc outings also. A little bus called “The Venture” came from St Mary Bourne on Thursdays. Denham’s became Newbury and District Motor Services Ltd. There was no need to have a car to go shopping; this was no problem. The grocer, the butcher and others came early in the week to take orders which were delivered a few days later. Anything bought on a visit to town was delivered free of charge and immediately by an errand boy. Milk came round in a big churn on wheels and was ladled into your basin. Mr Pinnell’s bakery was in Falkland Road where the hairdressers is today [by 2003 a beauty and alternative treatment centre], and behind his shop rose the first water tower, a mere tank on stilts. By now the Post Office was in Essex Street and sold everything [it closed in 2005 as part of cutbacks to sub post offices], while the “Speedwell” was still a general store. Entertainment was an occasional do-it-yourself concert in the Club Hall, though by now nearly everyone had a miraculous wireless set, working from an aerial strung across the garden from a tall pole. In 1933 building commenced on St George’s Church to an Italianate design by F.C. Eden. It was completed as far as the nave when funds ran out and the west end was boarded up with a temporary entrance. On the outbreak of the Second World War, Newbury was designated a reception area, taking in “Evacuees” – both adults and children as well as refugees from the continent. Every available space became accommodation for these temporary residents. The Club Hall was occupied for a time by men of The Lancashire Fusiliers, followed by The Ox. and Bucks. Light Infantry. 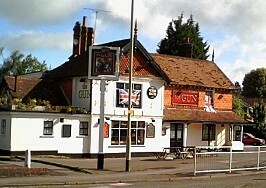 The local A.R.P. post was behind Mr Preston’s Garage (now Park House Motors [Total Service Station]). Major W.J. 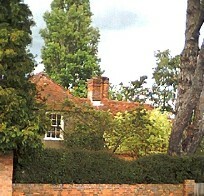 Tempest of Badsworth House, on the Andover Road at the top of Sandpit Hill [redeveloped in 2003], commanded the Home Guard. He was celebrated for having brought down a Zeppelin during the First World War, and the held the DSO and MC. When the Council schools were destroyed by enemy action in 1943, Park House was taken over as the boys’ school, the girls going to Shaw House north of the town. Most of Wash Common as now was built post-war. In the 1950’s when the Atomic Energy Establishments were set up at Harwell and Aldermaston, the Ministry of Supply built houses for their staff at Valley Road, and also on the east side of Wash Hill. The council developed Elizabeth Avenue and its smaller roads at the time of the Queen’s accession. Battledene had extensive grounds where tall rhododendrons and azeleas flourished, and bamboos fringed the lake. Now Normay Rise and Conifer Crest occupy the site. Glendale Lodge was once called The Hermitage, whose owner liked follies and grottoes. He built a round “Temple” of open columns in the front garden and hollowed out a small grotto, lined with broken crockery. Later as Glendale Lodge, the house was divided into two for the gardener and chauffeur of the Gilroy family of Battledene, and a bridge was constructed over the bridle path to link the two properties. For a short time after the war Glendale was known as Monastery Farm when it was occupied by a community of Carmelite sisters, who grew most of their own food. At this time, a community of Servite Fathers were at Enborne Lodge, where their chapel was open to the public on Sundays and Feast Days, there being no Roman Catholic Church to the south of the town at this time. Gorselands has been a private school for boys before development and Falkland Lodge was demolished to build The Gabriels, so called because St Gabriels School at Sandleford Priory had used it as their junior school, Smallridge was the name of a family who had owned a nursery garden there for three generations. The old Sandpit became Ladwell Close and Dormer Close was built on the garden of Grey House. Most of Wash Common’s roads have names with some local significance. Some have changed their names, notably the Andover Road, formerly “Wash Lane”, and even within living memory older people have spoken of “The Turnpike”. The turnpike keeper lived in a cottage just north of the “Gun”. Battery End was originally “Cromwell Road” but as there is an older road of that name at Shaw, as as Cromwell was not present at the First Battle of Newbury, its rather odd name derives from the Royalist battery stand, which terminated here. Battle Road, Charles Street, Essex Street and Falkland Road are some of our older roads and the names are self explanatory. Dormer Close commemorates Philip Dormer, Earl of Carnarvon, a high spirited young man who was killed at the age of twenty-three. Spencer Road is so called after Henry Spencer, Earl of Sutherland. Meldrum, Goodwin, Balfour, Wilmot and others were Civil War notabilities. Kendrick Road is to the east of the Common where John Kendrick, a wealthy cloth maker from Reading, owned adjoining land. He was generous to Newbury and some of his money built the Cloth Hall in the town (now the Museum). Field names from old maps have named Garden Close Lane, Hill Close, Pond Close, Henshaw and Garfield Crescents, and Tydehams. Kennedy Close was under development when President John F. Kennedy was assassinated. Cary Close uses the family name of the Earls of Falkland. Some other names have been chosen by developers and have no local connotations. The large development along the western edge of the Common was built across the bridle path and adjoining farm fields in the 1970s, most of the roads being named after Civil War generals of both factions. The sale of land to the Education Authority as the site of Falkland School made possible the completion of St George’s Church in 1963-4. St George’s now became a separate parish with the Revd. Canon W.R. Birt its first vicar. A church hall was built in 1973, and St Luke’s, which had served this purpose since 1933, was leased as a theatre to the New Era Players. The attractive little Roman Catholic Church of St Francis de Sales was constructed from a 500 year old barn in 1970. Wash Common’s own shopping precinct, Monument Close, was built in 1975 over the old Gun pond. 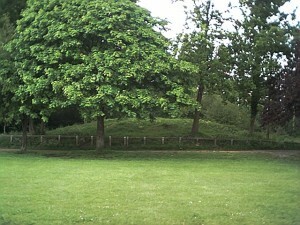 Immediately after the Second World War the recreation ground was cleared for a children’s playground and football pitch. This had been the last vestige of the gorse and heather covered common. The whole area had been the habitat of a large variety of birds, small animals and reptiles, and wild flowers, which inevitably have disappeared with the gradual change from a rural to a suburban environment. Though the small creatures have gone, and the birds have retreated farther into the countryside, Newbury District Council [subsequently West Berkshire Council] began an experiment in 1991 to encourage wild flowers by controlled cutting of a small part of the recreation ground. In the first year twenty three species reappeared after an absence of forty years, including such favourites as the harebell, ox-eye daisy and purple knapweed. Since then there have been variations in the flora, probably due to weather conditions and the invasiveness of coarse grass, but a little patch of bell heather, ling and petty whin has now re-established itself as a reminder of the heathland which was once Wash Common.